I was born 1960 in County Limerick my father made an income from farming but was passionate about anything mechanical. This transferred in a small way to me. I remember starting to read motoring magazines and following Formula One in my early teens. Below is the story since then. 1990 Pit crew for Balco Formula Ford Team. 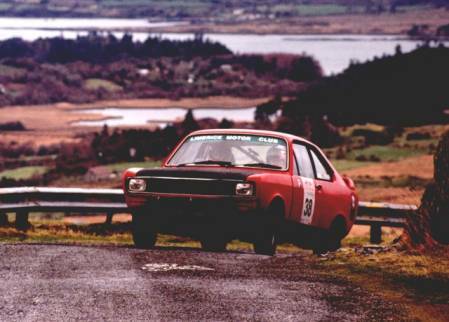 There were 3 for cars Donal Griffin, Colm Hynes and Richard Cullen. 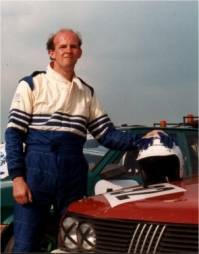 1992 Joined MG car club at Mondello and got first competition licence, never used it though, continued as pit crew for Donal Griffin/Colm Hynes. 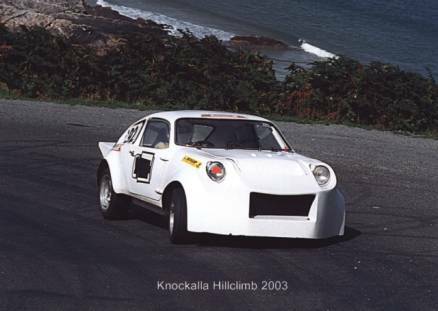 22-May Went to IMRC race meeting at Mondello, enquired about Ritmos, I was told by Michael Cullen that his father Des was selling his at that time and that he would be at the Galway hillclimbs the following weekend. At Dungarvan on Saturday I finished 4th of the 4 class finishers with a time of 85.93s The class winner was Oiosin O'Brien in 81.22s. At Milvale on Sunday I was 3rd in a class of 4 with a time of 74.44s. 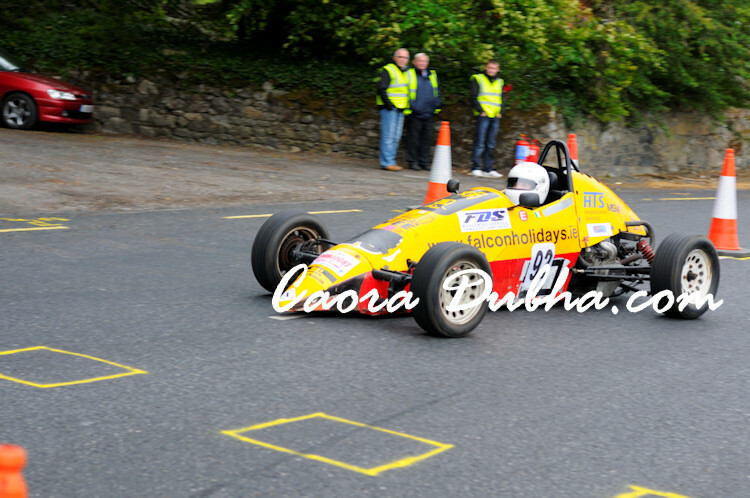 The class winner was Enda Cassidy with a time of 67.20s. 17-Jul Race Meeting Mondello Reverse Grid, I set second slowest time in qualifying which meant I started second on the grid. I didn't finish second though. During the race I turned in too soon on Alan Byrne light panel damage on both of us. 13/14 Aug Not enough signatures on my licence to upgrade so I watched the Phoenix Park races and helped at changing gearboxes. No accommodation arranged so slept in Kadette. 24/25 Sep Formula Ford Festival I think I was punted into the sand trap on the inside of Turn 1 causing the cam belt to jump a couple of notches. 19-Mar Race Meeting Mondello New engine built by Seamus O'Connor, took it handy in race to run in engine, race was in torrential rain. I finished second because everyone else slid off at some stage, I even had the lead for a while! 16-Jul Tipp C on S hills Millvale 5th of 7 74.92 winner 67.49 Coming home wheel fell off borrowed transporter, Denis Hogan stopped and helped me get going again. 27-Sep Carrick-on-Suir Night Navigation Rally with Bernard O'Neill in his Toyota Celica went well until we slid into a bank. I had not beaten out the damage from Donegal! 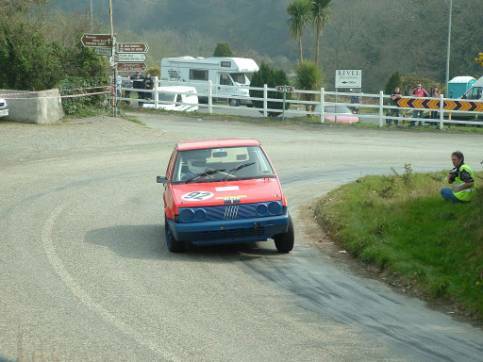 2-Aug Cork Hills 8th of 8 My time 116.64Ritmo resprayed bright red with blue bumpers. Saturday, 99.68, 5th of 7 in class, winner 94.93s. Eventful start to day, first exhaust fell off, then the bonnet opened in practice run due to forgotten bonnet pins. Saturday at the Old Mill 1st and last in class 1! Sunday 3rd of 5 97.25s I had a time of 96.97s on the fourth run, but this was disallowed because I was deemed to have hit a chicane. Sunday at Catsrock 8th of 11 73.36s on the first run. I set a time of 69.06s in the second run. The event was abandoned part way through the second run due to heavy rain bringing mud onto the course. 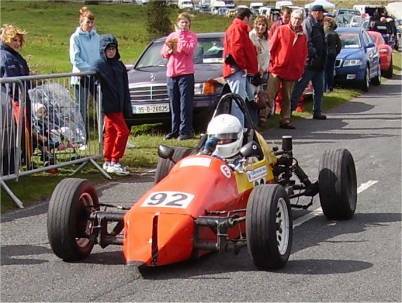 Early in 2006 I bought a Sheane Formula Vee single seater racing car from Declan McNamara. I took delivery of the car and did my first event at Tynagh. I spent a lot of the time doing pirouettes. Reasons tyres were a bit tired and of course the driver. I did a morning test session 6 May. at Mondello. Enjoyed it greatly (no misfire!) But boy was I slow! I was setting consistent 67 second (1m 07s) laps of the national circuit. The quick guys were doing 61 second laps and the mid field guys were doing 63/64 second laps. My main diagnosis of the problem was that I need to improve my confidence on the brakes. Other things that would make the car slower than a regular race car are 1 using old spec drums on the front, whereas all race cars now have discs on the front. 2 higher ride height for the rougher roads of the hillclimbs. But most of my lack of speed was down to lack of bravery on the brakes. Sunday and Monday of the June Bank Holiday Weekend at Bagenalstown and Athy. What happens when you hit a bump with a Vee! Front wheels launched in the air and rear grounded. Now three wheels in the air Thud! Heavy landing! You should see the polished underside on the car! And remember my posterior has only a fibreglass seat and a sheet of aluminium between it and the road! Scrutiny (Friday Evening) went well. Only 3 points to be rectified. One was a missing sticker to indicate where the fire extinguisher pull is, another was low brake fluid. The third took a little bit of work. This was some play in a spherical rod end on the steering. John Mahon who runs a number of racing Vees changed this for me. Went around at a fairly safe speed (i.e. slow) until engine went bang. I coasted to the side and got out to investigate. What I found was one of my spark plugs swinging on the end of its lead. Went well for 3 laps then power vanished so I pulled over. They were a great 3 laps. At the start the car ahead of me made a poor start so I backed off and the 2 cars behind me passed me ( I was now last). My time the engine power dropped off I had passed the 3 cars I just mentioned and was closing in the next. A loose exhaust manifold was diagnosed. Eventful start! The car behind me gets a good start and his right front is by my left rear when I have to move because of another car, he went for a 2 foot high flight through the air and had to retire with suspension damage. Coming into the first corner knowing the carnage that can happen at the first corner, I went the long way round and picked up 4 places! 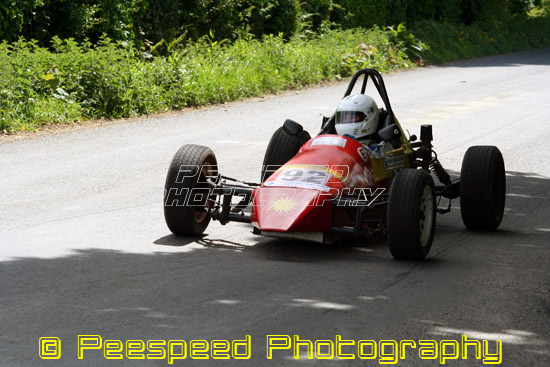 On the second lap one of the cars I passed outbraked me coming into the Furry Glen hairpin. So I gave him room, but he left getting on the power a bit late coming out of bend so I modified my nose cone on his gearbox and tyre. Then it happened again the power dropped off so I was passed by everyone and had to retire. I was towed to the edge of the track area after the race and Killian used my van to tow me back to the paddock. I came into the weekend on equal points for theclass championship with 2 other drivers. 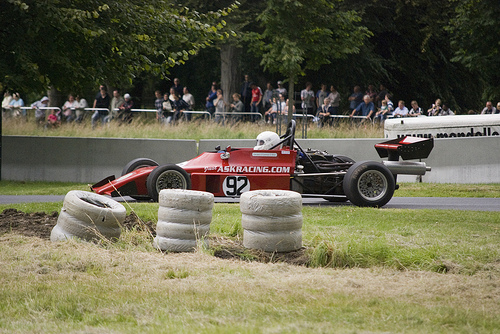 The engine was still on its emergency rebuild at its outing at the Phoenix Park races. One of the consequences of this was the right side of the flat 4 engine having low compression. So I planned to mind the car on the first day. The other 2 drivers on equal points with me were in Formula Fords so I did not expect to beat them. The maths of the situation meant that if I recorded a time each day I would get 3rd in the class championship. Saturday I just did practice and one timed run to get my points. My time was 57.87 to the class winner's time of 50.35s. I modified the nose cone in the hit on the cone. You should of heard the bang! I think the nose cone was about 2 inches shorter, I beat the cone somewhat straight before the final run. 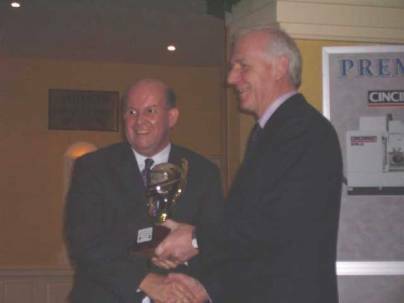 This was held in conjunction with Clare Motor Club on 13 January 2007 at the West County Hotel, Ennis. A good night was had by all. I got the FVee back from John Mahon (near Gorey Co. Wexford) on Wednesday after having had its engine rebuilt . This was convenient as I had received a notice that there was a test day at Mondello that Friday. Now since my current working hours are 10am to 1 pm in Blessington I decided to do the afternoon session. I dropped the FVee at Mondello on my way to work now that was eventful journey, a Hit and Run driver hit the back of my transporter damaging the lights. The battery was flat on the FVee so I charged it off the van while I was signing on and changing clothes. Took the first session handy with limited revs to run in the engine. Second session a bit more on the revs but I noticed the handling a bit funny coming out of the double apex rights. Braking at the first part of the Esses I got a wobble and ended up in the gravel trap. The reason for the handling malady revealed itself as a rocker cover bolt missing and causing oil to be dumped on the left rear tyre. Towed back to paddock. The gravel had bent the poor nose cone under the car. All I can say is it will not polish out!. In the third session I ran without the nose cone, toes were frozen! Took engine near max revs, running very smooth. 4th session was a blast, although took it a little cautious with the braking, I did step the tail out a few times under power in some of the corners. Maybe that bend was not flat in top. I was easily doing a minimum of 75mph when I lost it. Hit the bank between the bushes and trees. A video camera man got the end of the incident, quite spectacular. I just bounced off the bank. The front axle tubes on the left were bent back about 4 inches. The left rear trailing arm was bent. Put down the power too heavy at the left hander before the mid point services and spun into the wall (not on video due to batteries flat in camera). Damaged front suspension again. 2. The car felt totally different after the rebuild. It turned in better and the brakes had a way better feel. On the negative side the back felt a little more skittish. My 2nd run on Sunday was 131s against 128s last year. Maybe I was trying too hard to equal last year's time on the last run! 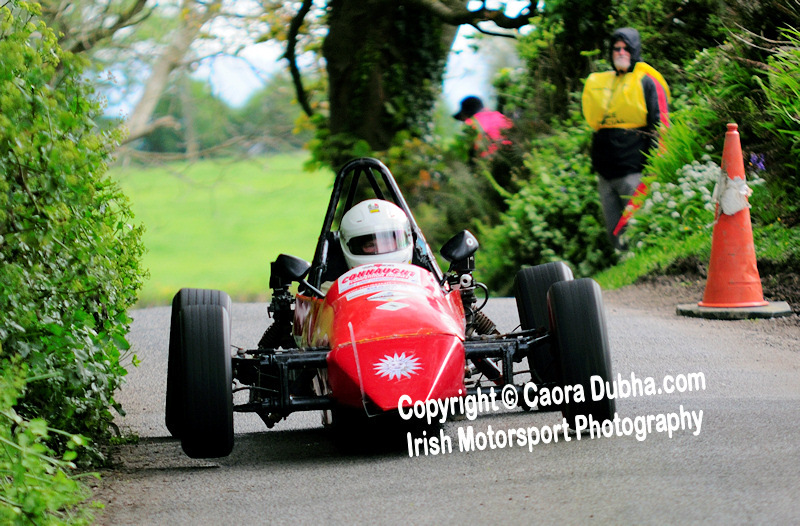 The Rain Stayed Away Carrick on Suir Motor club Hillclimb weekend. We were very lucky with the weather at Millvale near Rathgormack on Saturday and Garryduff near Piltown on Sunday. 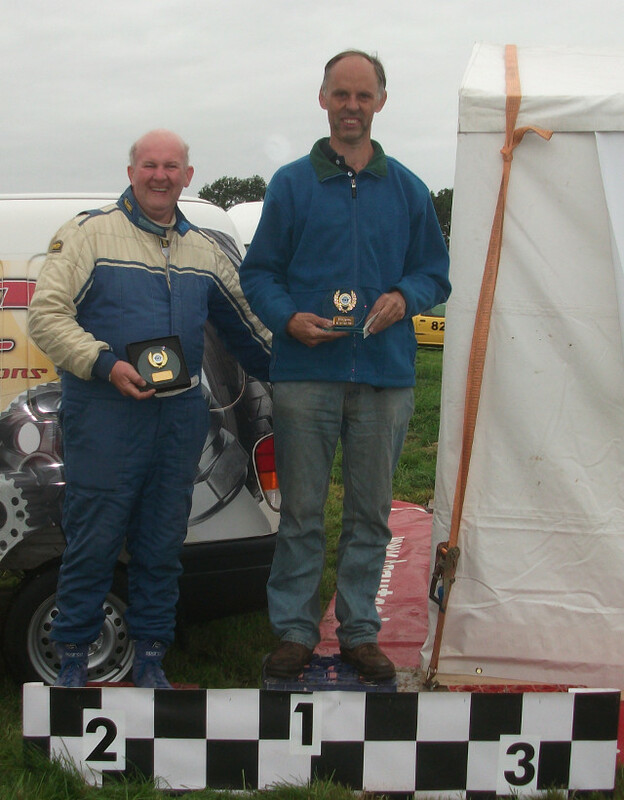 Saturday had 3 entered in my class I managed to take 1st place even with my driving cautiously. I did not want to make it 3 events in a row where I was bringing home a damaged car! The Sunday hill had been nick named the M50, it is so fast the incline of the road is the only thing that keeps the speeds from going ballistic. The car that finished 5th overall was on max revs in top which equates 136mph. I doing about 102mph, the Beetle engine just did not have the grunt to hit max revs up that incline. Unfortunately I did not set up the on board camera on the car. The first day of the Carlow event at Bagenalstown was long straight with 2 chicanes followed by a square right into a narrow twisty bit. That's the nice bit. The not nice bit is IT RAINED.The day was a big gamble so I started slow and improved to set a reasonable time for the conditions on my last run. More gearchange problems on practice and First Run. Second Run got off start line and no more gears. Caused a red flag as a result and had to be rolled back to startline and out of the way. The next day I offered my services to the organisors and spent the day in glorious sunshine about 1/3 of the way up the hill as a flag marshal. Each day began with the threat of rain. Saturday had glorious sunshine in the morning. The practice run was dry on the revised from last year course. 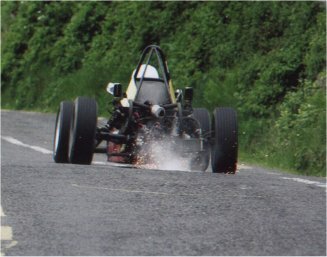 The second chicane was abandoned for 2007 bringing back the high speed blast that the Dungarvan hill is famous for. The first chicane was changed from a 2 element to a 3 element, this did not change speeds through the chicane much. The single seaters as a group had just finished their first timed run and were waiting at the top of the hill to return to the paddock when the rain arrived. Having learned from previous experience I keep a bin bag under the seat to provide shelter while waiting. On returning to the paddock every single seater driver put their car on the trailer. The saloon competitors continued for a further 2 runs although times were greatly reduced. My time was 82.01 seconds which I was quite happy with. Sunday started overcast a practice and 2 timed runs were in the dry. The rain then arrived and runs 3 and 4 were wet only 22 of the 68 competitors did the 4th run. Again no single seaters went up in the wet. Both days I was the only competitor in my class so took maximum class points. I had picked the car on the Friday before the event from the workshop where my suspected gearbox problem was repaired. The problem turned out to be the lightened flywheel had broken. I only competed on the Saturday. I just needed the points from that day to clinch victory in Class 5A in Premier Machine Tools National Hillclimb and Sprint Championship. He sure was right. First a Corsa couldn't straighten and mounted the ditch across from me, then an Uno spun just before that spot and finally a Puma ended up in the spot that Corsa had been in previously. The rear wheel drive saloons were very entertaining with their tail out antics. I relaxed and helped competitors at the spectacular Knockalla venue. Start line timekeeper for the weekend. The first of the event of the year was at Barntown outside Wexford town. Saturday started very wet and dried as the day went on. I finished 2nd of the 6 drivers in my class. 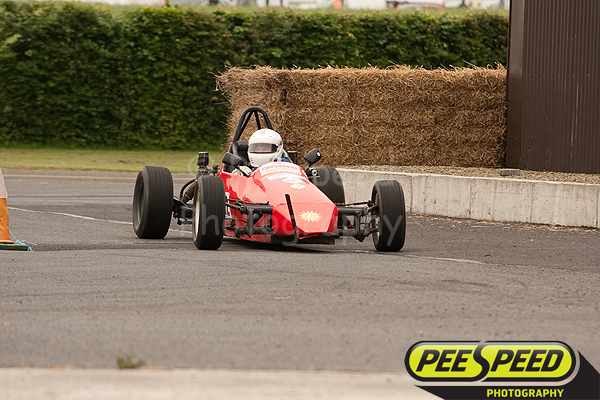 The winner was a younger driver in a Formula Ford (about 30bhp more than my Vee). Sunday had one shower in the morning but cleared up. Same result as previous day. Before that I had tested in Mondello with the end result of a broken valve spring. 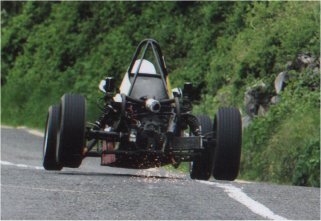 Soon after that I helped some hillclimbers at the Formula Libre testing at Mondello. As a thank you I got to drive one their cars (slowly!). 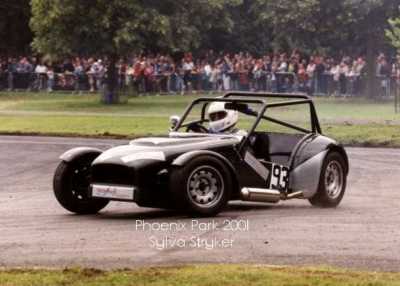 The car was a 2 litre mid 1990s Formula Renault with wings and slicks. Comment, I want one! The grip of the slicks was amazing. As I said I drove it slowly, the regular driver was doing 57/58 second laps I was doing 63/64 second laps, not helped by a fuel starvation problem on the first part of the Esses. Less than a litre of petrol in the tank when I finished. 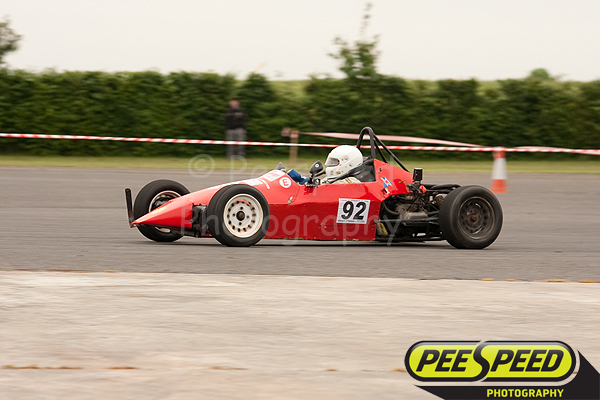 Finished 3rd to the Formula Fords of Cormac O’Brien and Colm Dunphy both days. This was a difficult event. On Saturday at the Corkscrew outside Ballyvaughan, I had an oil pipe blow off as my double drive for the weekend Cillian Bannon (a first time competitor) brought the car to the start line. Some emergency repairs had to be done as the oil cooler was also damaged. I ended up 2nd of the 4 competitors in the class, Siobahn McCann achieved her first class win. Sunday at "the scalp" near Carron, Cillian and I had to keep the car cool having no functioning oil cooler so a lot more pushing the car around the paddock. Cillian discovered his natural talent finshing 2nd after Siobhan with me in 3rd! Both days were in very changeable conditions, Saturday I finished 2nd after Colm Dunphy in a Formula Ford with Siobhan in 3rd. Limerick Motor Club's rounds of the Magnus Technology National Championship were held on the 2nd and 3rd of August at the Old Mill near Newcastle West on Saturday and Boola Hill near Broadford on Sunday. The start line on Saturday had to be moved because of recent rain. The start area never dried so starting technique was vital to maximise speed on the quick course. Siobhan had the lead on runs 1 and 2, she had spin on run 3 which allowed me to take lead for runs 3 and 4. Siobhan took the win on run 5. Sunday at Boola hill was another quick event. Learning which fast sweep was which was vital. The day started with very variable weather conditions. Scott Milligan took the class lead on run 1 after both Siobhan and I had wet runs. Siobhan took the lead for runs 2,3 and 4. With the road dry for run 5 Siobhan improve by 1 second, but I improved by 2.5s to take the win. The first day of the Motor Enthusiasts Club Sprint at the Cullenmore bends near Ashford Co. Wicklow started with rain on the horizon. Everybody started exploring their limits from the practice run. I went beyond my limit and spun exiting the second chicane. Being a little cautious on the 1st timed run led to a time of 53.23s 3rd place behind Richard Dunphy in a FFord 52.18s and Siobhan McCann FVee 52.84s. On the slightly damp second run I spun again at the same spot! The weather worsened so the first run times determined the final result. My wife and I headed for Donegal on Friday evening. It was a miserable drive, we were following a torrential band of rain! Saturday dawned a beautiful sunny day. As we headed out from the hotel to Knockalla mountain where the event was being held, about 15 miles, there was a loud bang from the back of the Kangoo. Investigation showed that the left rear torsion bar had broken and the rear of the van was resting on the bump stop. In the battle for the championship I had to finish ahead of Siobhan on just on day. After a close battle Siobhan beat me by 0.25s. One sillyness that happened to me on the practice run was I lost power coming out of the tight right. Panic had the engine developed a problem, then I noticed I had knocked off the ignition switch. I turned it on and bump started the car just before it slowed to a stop. Of course I tried too hard on the final run and demolished a cone at the chicane! Sunday Last chance for me! Siobhan got off to a flier, nearly 2 seconds quicker than me! She improved on runs 2 and 3. After a few bits of advice on where I losing time (braking to early at the chicance and too late at the right hander) I managed to get to within 0.39s of her time. John Mahon took the FVee to his base in his truck (a crankshaft oil seal needs to be replaced). The Kangoo came back from Donegal with a block of timber propping up the rear! The championship ended 93 points for both Siobhan and I, Siobhan took the championship by virtue of having 1 more 10 point score than me! I received my award for second in class 5A from Darryl Ramsay of the championship sponsor Magnus Technology. 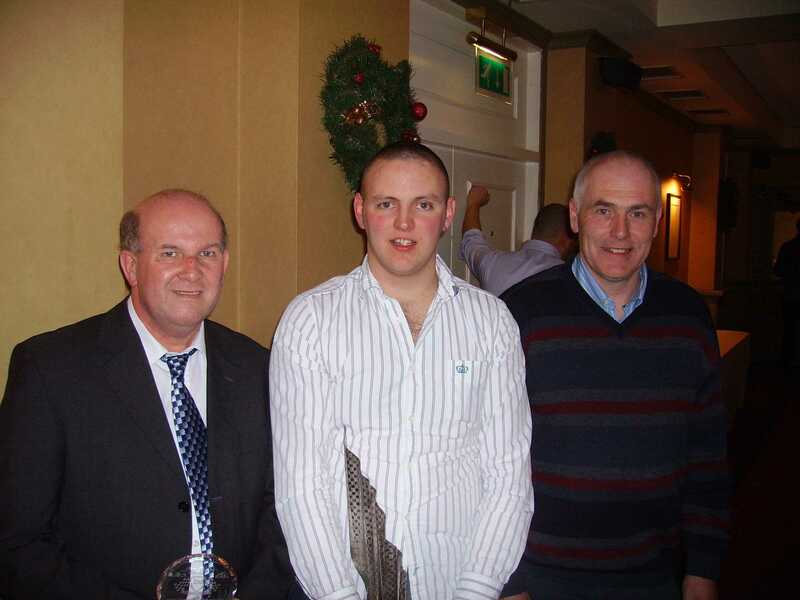 Fellow Limerick Motor Club member Paul O'Connell received the overall championship award and Michael Melia received his award for 3rd in class 3B. 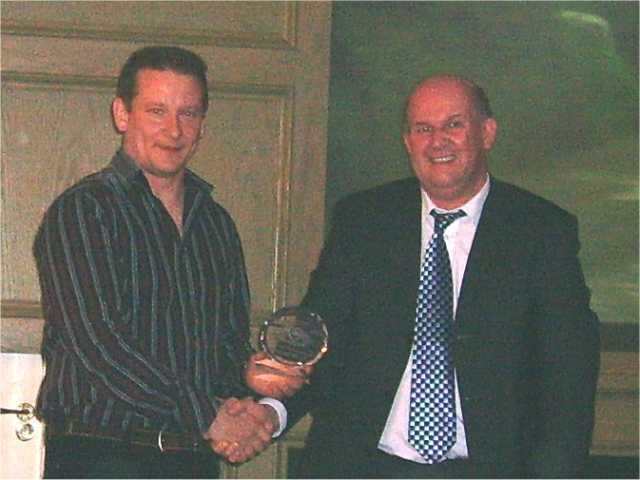 Denis Hogan Jnr was unable to attend and his 1st in class 3B award was collected by Paul for him. A sore shoulder has deterred me from entering events this year. Not because of the driving but because of the pushing and pulling involved moving the car in the paddock and on the trailer. Physiotherapy is a great help, full movement is back, but I really have to keep doing my exercises. 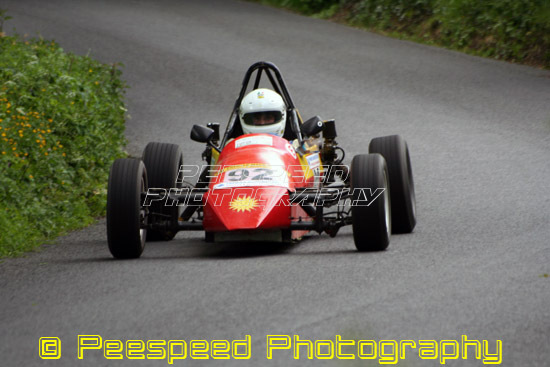 Since I was not doing any hillclimbs and the shoulder had improved, I decided to enter the Phoenix Park Motor Races on the 8/9 August. 2009 is the 80th anniversary of the first international Grand Prix and to honour this the main race on Sunday was to be the Dublin Grand Prix. I decided that I would rent a car for this race. Saturday of the Park started difficult, clutch slip in the Crossle during qualifying. Tried it in the race same again retired after 2 laps. 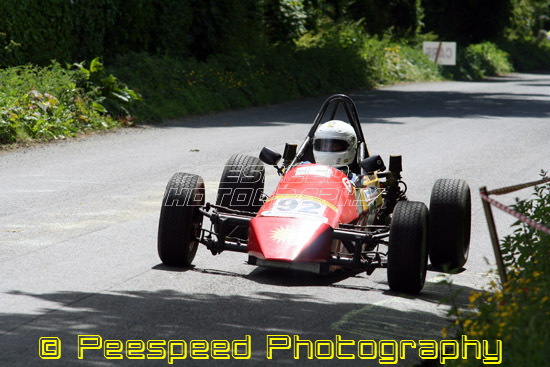 Some photos taken by Peespeed Photography.and Caora Dubha. There was a delayed start due to timing equipment problems. Practice and 1st run were in the dry, then the rain came. Eugene's time on the first run was not going to be bettered in the wet. Eugene and I agreed to do one run in the wet, I was the quicker driver in the wet. Eugene did not compete on Sunday giving me the chance to take a win. The event had 5 dry runs. I improved my times significantly on Saturday. 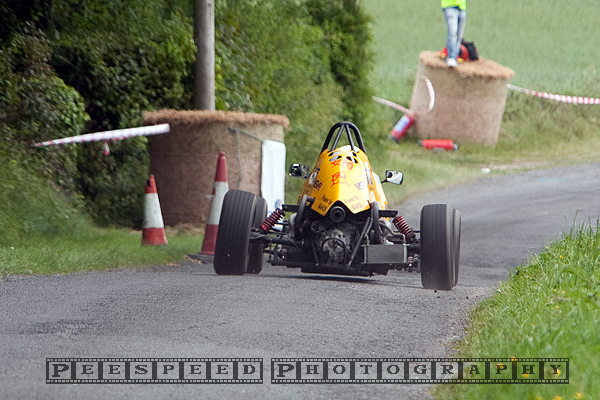 For this year's event Wexford Motor Club had found a new road at Castledockrell. There was a nice surface on the fast flowing course of 1205meters. The good surface was as a result of the building of wind turbines nearby. There were only two competitors in class 5, Eugene French and myself, the event started in damp tricky conditions without incidents until the fourth run when things were drying, a number of people had "moments" a the second last and last corners, myself included. 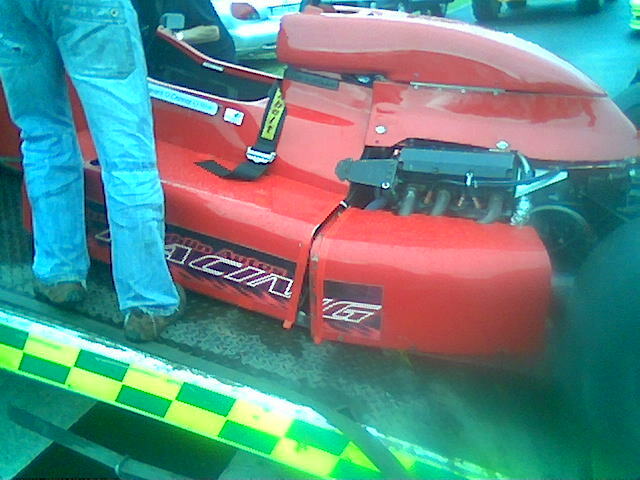 I was a bit shaken by the crash, but other than a flattened nose cone there was very little damage to the car. The car was repaired for Sunday, I did and practice and two timed runs on Sunday to collect championship points. Two in class. I finished behind Eugene French both days. I entered this non championship event as it was my own club. I had an eventful Saturday setting up the timing system and competing. Sadly I forgot to tighten the wheel nuts after fitting newer tyres. The left rear passed me on the first run. 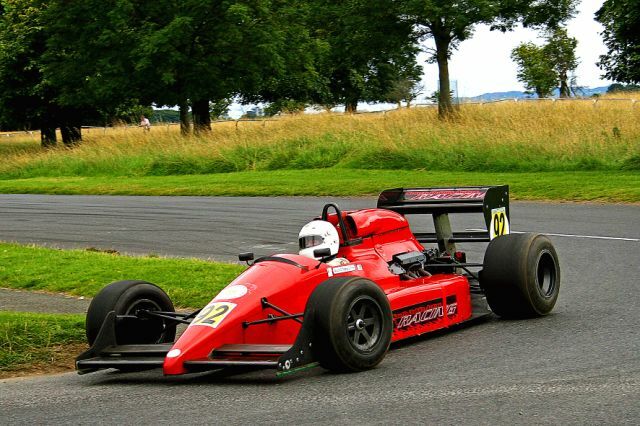 Sunday I concentrated on the timing system, but John Whitley made good use of my Vee for his first single seater drive. 7/8 September 2013 Donegal MC at Knockalla, Did not enter Money ran out! 26 October 2013 Prize giving night for the 2013 Naylor Engineering Hillclimb and Sprint Championship. Attracta and I attended at the Kileshin hotel, Portlaoise. I very surprised when I heard my name called for the Colin Bradley sportsmanship award. The award was presented by his parents. 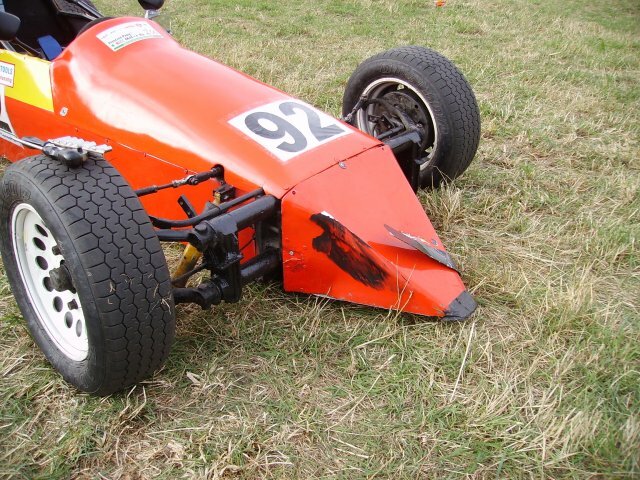 27 April 2014 Galway Motor Club at Ballyallaban, I crashed on first timed run. Philip my double drive won the class with his first run. 5/6 July 2014 Wexford Motor Club at Carrick on Bannow. I marshalled both days. 2 August 2014 Limerick Motor Club at Effin. Difficult day for my double drive Adam Craughan (Philip above's first cousin) and myself. The car was refusing to run above 4000 rpm. The problem was a small component in the ignition called a condensor had failed. 3 August 2014 Limerick Motor Club at Effin. Car ran perfect with new condensor from fellow class 5 competitor Eugene French. Adam took the class win by 0.02s. I was not confident after my crash in April so I finished fourth. Finances meant that I would not be competing for the rest of the season. 6/7 September 2014 Donegal Motor Club at Knockalla. Money was tight so did not enter or spectate. 7 December 2014 Limerick Motor Club Autocross. I had told event organisor Eamonn Barrett that if there was a double drive available I was interested. A few days before the event in Jody Ryan's quarry near Rearcross, he phoned with an offer from Eddie Walsh to drive his 250bhp 4wd Subaru. I met Eddie on the day enjoyed a practice and three timed runs. 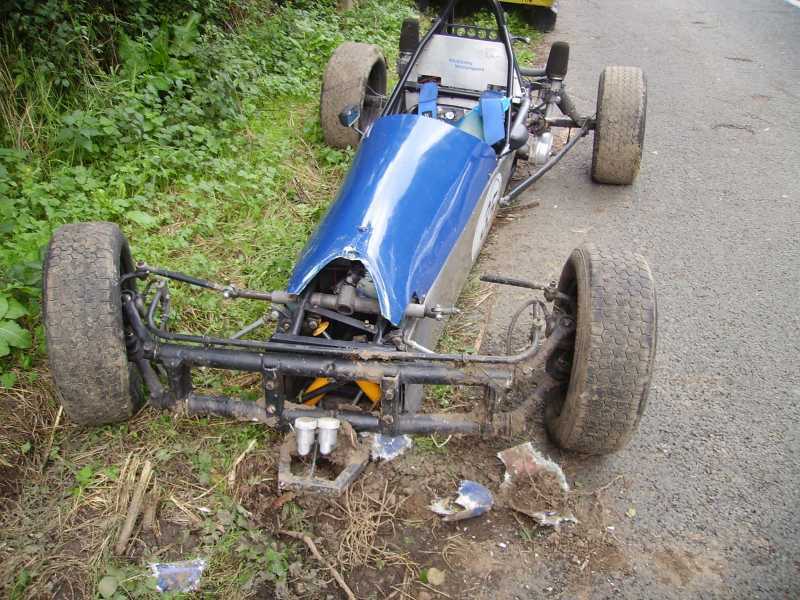 The Scalp hillclimb on 25 April 2015 was a tragic occasion multiple hillcimb champion Simon McKinley lost his life on the final run after his car left the road. I was helping Cecil Orr with results and will never forget the radio call from start line time keeper Scott Milligan "Worst news possible". The hillclimb community was out for the next event at Carlow, which I missed as I had made a PR commitment to Limerick Motor Club's Circuit of Munster rally that weekend. The first event I entered in 2015 was Limerick Motor Club's Effin Spint. I needed one more result to qualify for second in class as there were only two competitors registered John Whitley and myself. 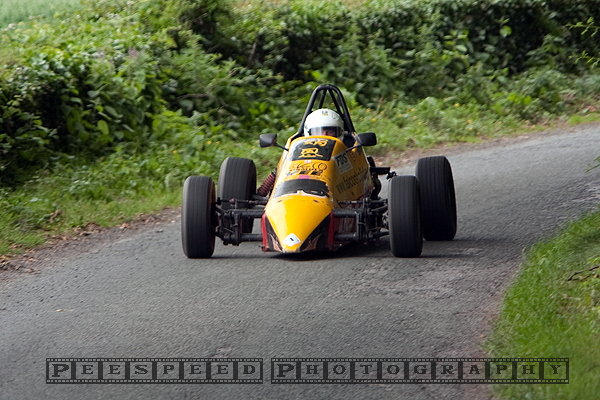 My wife and I made the long trip to Donegal for the second day of the Knockalla hillclimb weekend. 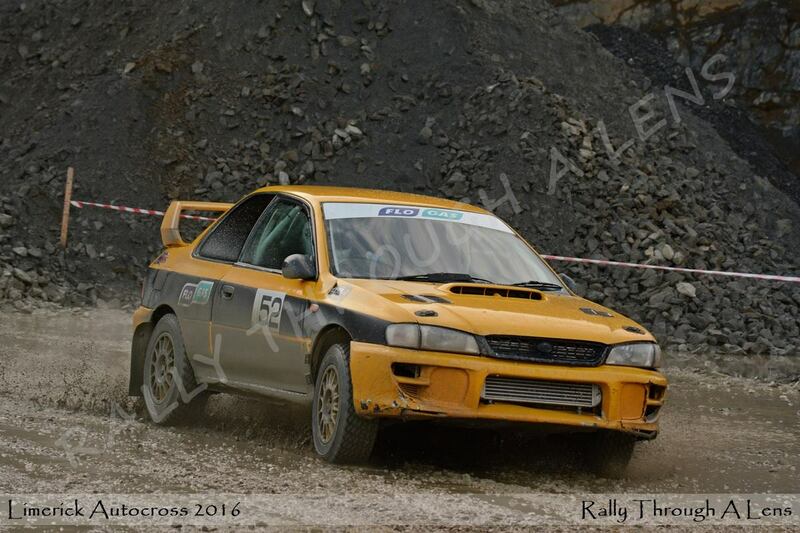 13 December 2015 Limerick Motor Club Autocross near Rear Cross Co. Tipperary Drove Ed Walsh's Subaru again and did not get any faster compared to the previous year, but it was fun. 21 May 2016 Clohamon near Bunclody Co. Wexford. Two entered in class I was second. 22 May 2016 Clohamon near Bunclody Co. Wexford. Russell Stanworth arrived on Saturday evening with an entry for Sunday but no car (water pump problems on his Reynard) I offered him a double drive on my car which accepted. On Sunday Russell foound the Vee very different from his Reynard but by Run 4 he was up to speed only 0.3s slower than my time. On Run 5 he tried a bit too hard and went for a spin damaging the nose cone. I went for my fifth run and improved another 0.2s to finish second of four drivers in the class behind John Whitley in his Formula Ford. 11 June 2016 The Sweep Dungarvan Co Waterford. Hit chicane cones on both practice and first runs. Took it handy on second run to get championship points. Event was running late so there was only two runs. 2/3 July 2016 Carlow Car Club near Gowran Co. Kilkenny. John Whitely had some difficulty with the chicanes on Saturday allowing me to take the class victory. Sunday A quick time on the first run threw down the gaunlet to John Whitley, unfortunately his challenge finshed in the ditch allowing me to take the win. 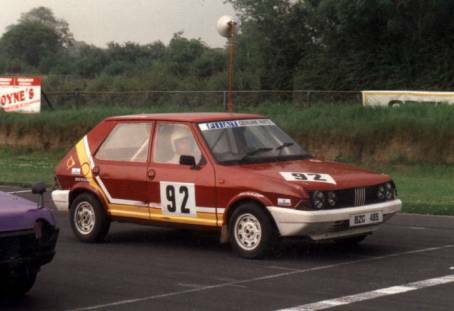 30/31 July 2016 Limerick Motor club sprint at Effin. After repairing an oil leak, level was not checked, engine blew up on Saturday's practice run. Gathered championship points with a run in John Whitley's Swift Formula Ford. I sat it out on Sunday and just relaxed. 13/14 August 2016 MEC sprint at Mondello Park. Rebuilt engine arrived and was fitted Friday evening. I was not able to compete due to flywheel and clutch pressure plate not being compatible with existing clutch release bearing and fork. Tried to get things going on Saturday without success and relaxed on Sunday. A work accident in February meant I was unable to prepare for the 2017 season. 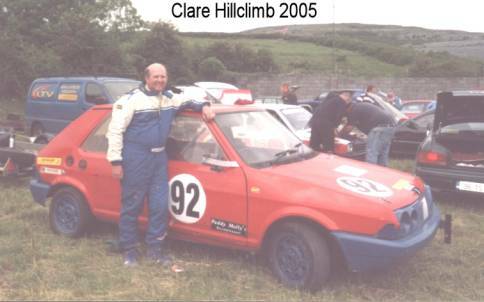 Later in the season I helped with event organisation as Results officer at the Limerick hillclimb weekend at Glenroe, Start line timekeeper for the MEC at Mondello and chicane judge at day one the end of season Carlow hillclimb. 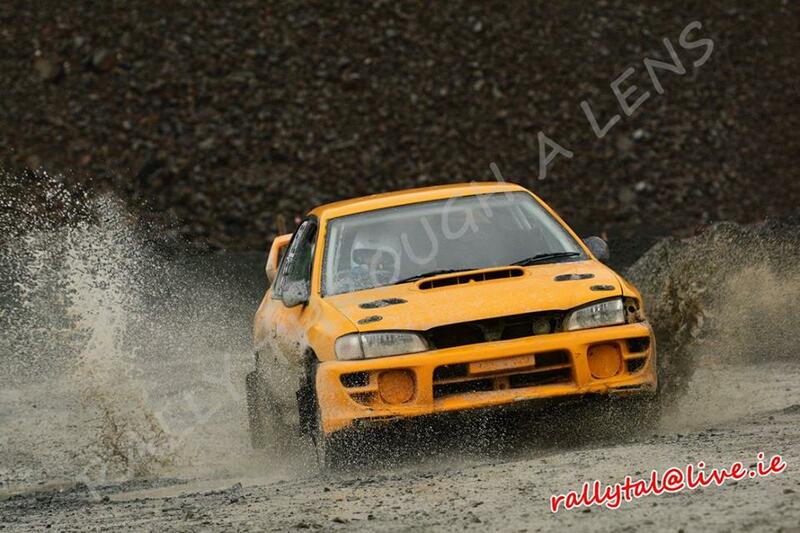 Drove Ed Walsh's Subaru at the Limerick Motor Club autocross in December. Leg still not back to full strength. 25 February Line Judge at MEC autotest. 22 April Startline timekeeper at Tynagh for the Galway Motor Club sprint. 3 June Co driver in Road Closed at the Circuit of Munster. 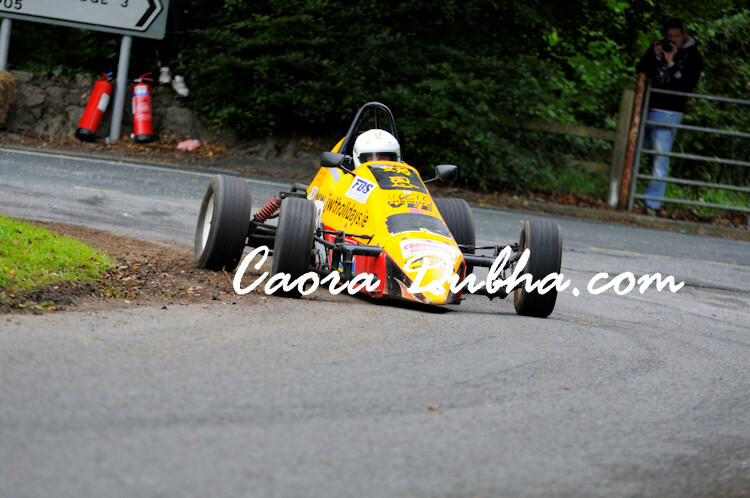 7/8 July Marshal at Carlow hillclimb. 25 July Judge at TDC production vehicle trial in the foot hills of the Dublin mountains. 5/6 August Startline timekeeper at Limerick Sprint at Glenroe. 26 August Timekeeper at TDC multi venue autotest at the old NET plant, Arklow. 14 October Timekeeper at TDC autotest at Mondello Park. 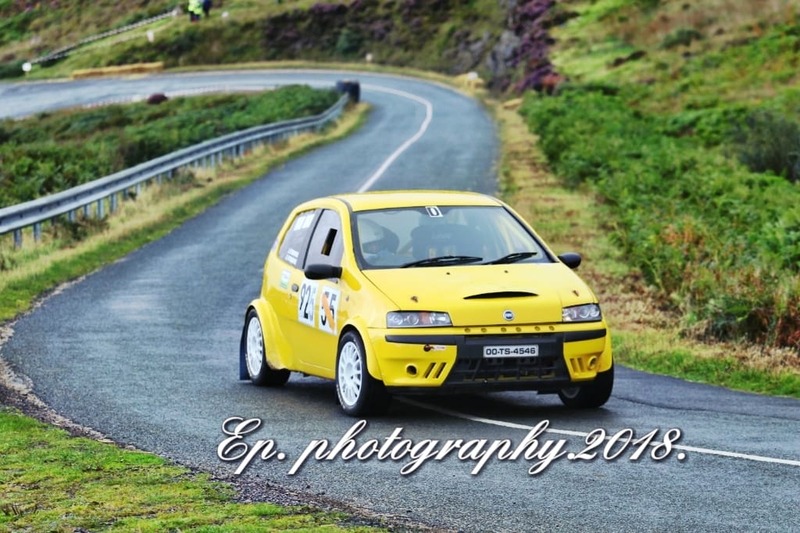 1 September James O'Rourke gave me a double drive on Saturday at Knockalla in his Honda engined Fiat Punto. Selectives are held on private grounds using farm tracks, quarries and car parks. Typically taking between one and five minutes. Areas where speed may be excessive are slowed using "code boards" where you have to slow to read a six or seven character code from a board or "stop boxes" where a judge of fact hands your a ticket if he deems you have stopped in the box. At the end our day which ran from 1pm to after 8pm we finished third of 6 in the A1 1 litre class. 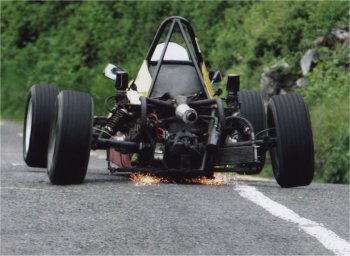 Double Driving is allowed in hillclimb, i.e. two drivers sharing a car. Because of this I have had the opportunity to drive other peoples cars and other drivers have driven mine.